DIY Butterfly Snack Bags: An easy and healthy addition to any lunch, these Butterfly Snack Bags are sure to bring a smile to any child. Step-by-Step Instructions on how to make the bags and fill with organic snacks. I am a corny mom. I am that mom who cuts out her kids sandwiches into hearts for Valentine’s Day and naturally dyes eggs for St. Patrick’s Day. But let me be 100% truthful with you. I don’t make bento boxes. I don’t spend more than 10 minutes TOTAL making lunches for my entire family each day. I just don’t have that kind of time. But what time, albeit little, I do invest in packing lunches, I am sure to focus on wholesome ingredients and sometimes, my crafting skills–or corniness as my husband calls it, comes out. That is what happened with these Butterfly Lunch Packs. Fruit and Crackers become wings of a butterfly that is completed with a cheese stick body. Super cute, super healthy, super quick! Not that my middle school son would appreciate these, but my daughter–oh she will happily these Butterfly Snack Baggies to school and show off to her friends. And parents….these are SO EASY to make. PROMISE!!! Start with a sandwich bag and a pipe cleaner. Divide your bag in half by using the pipe cleaner. Fill one side of your sandwich bag with grapes or another sturdy fruit your child likes. Fill the other side of the sandwich bag with Peanut Butter Snack Crackers. Draw a smiley face on a cheese stick and with a piece of double sided tape, adhere the body of your “butterfly” onto the bag. Simple, easy, and SO FUN! It is worth the 5 extra minutes spent on making lunch to give your kids a smile! 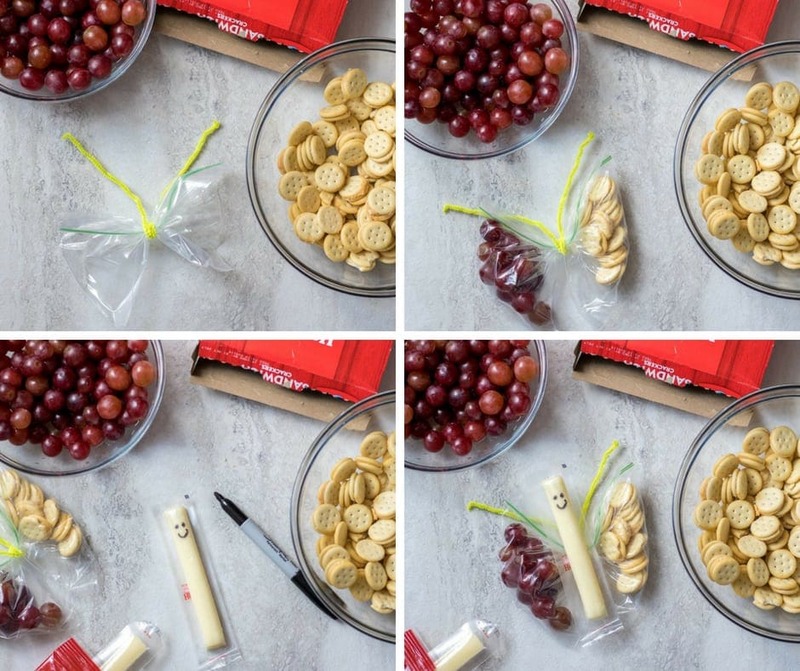 You can use any fruit your child likes in for the fruit in these snack bags. Cheese or Peanut Butter Snack Crackers are great options for a Butterfly Bag suitable for lunch. Pretzels, trail mix, or cheese crackers are great options for a Butterfly Snack Bag. These Butterfly Bags will keep for 3-5 days in the fridge, depending on the fruit you choose to use. You can select Gluten-Free Snacks, for these to be Gluten Free Butterfly Treats as well. Looking for more delicious ideas for packing lunches? I’ve got you covered. 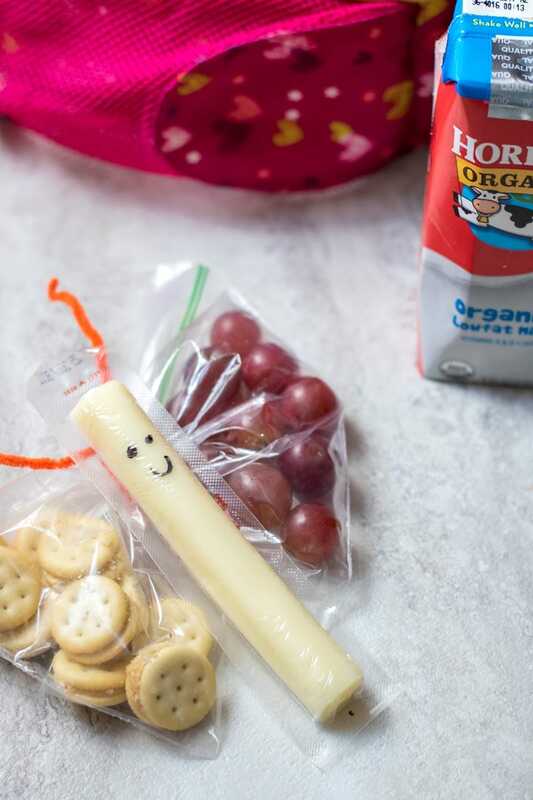 Wholesome crackers, fruit, and a cheese stick become the base for these adorable butterfly snack bags, perfect for kids lunches or snacks. 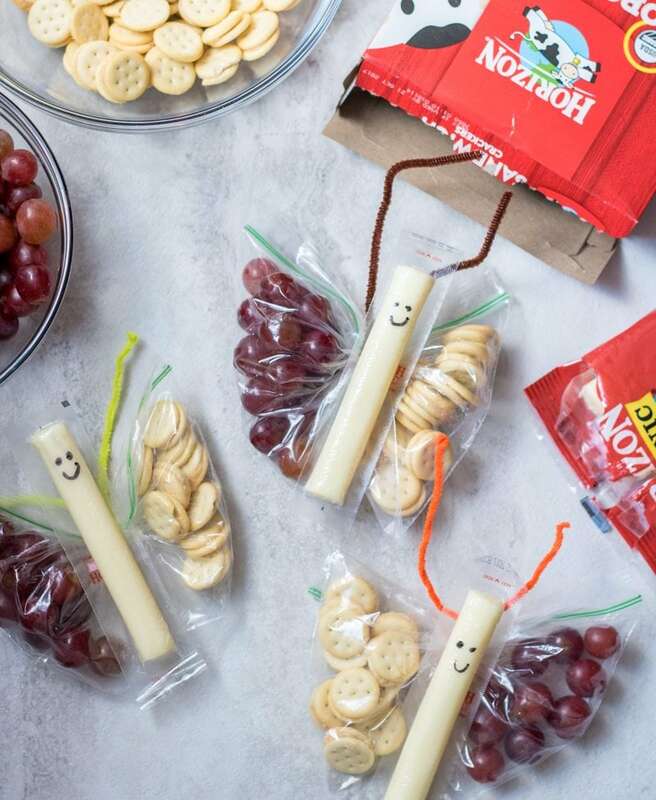 Draw a smiley face on a cheese stick and with a piece of double sided tape, adhere the body of your "butterfly" onto the bag. Now that looks like a cute butterfly bag that kids would love to dig into. I love to give the kids natural food. Make them eat the right thing. Love the idea of these cute butterfly bags. Exactly, if you only have healthy foods, they must choose to eat healthy! So super cute!!! Love these!! So adorable! Love this idea!